Redmond, Gerald and Lorraine Snyder. "Norman Kwong". The Canadian Encyclopedia, 06 September 2016, Historica Canada. https://www.thecanadianencyclopedia.ca/en/article/norman-kwong. Accessed 25 April 2019. Norman L. Kwong (né Lim Kwong Yew), football player, businessman, lieutenant-governor of Alberta 2005–10 (born 24 October 1929 in Calgary, AB; died 3 September 2016 in Calgary). Norman L. Kwong (né Lim Kwong Yew), football player, businessman, lieutenant-governor of Alberta 2005–10 (born 24 October 1929 in Calgary, AB; died 3 September 2016 in Calgary). Nicknamed "The China Clipper," Norman Kwong was the first Chinese Canadian to play professional football and the first person of Chinese heritage to serve as lieutenant-governor of Alberta. Kwong was born in Calgary to Chinese grocers who, in the early 1900s, had immigrated to Canada from Canton, China, despite the $500 head tax the Canadian government required of Chinese immigrants. Kwong began his Canadian Football League (CFL) career in 1948 as Canada's first professional Chinese Canadian player, just one year after Chinese Canadians were granted the franchise. At 5-foot-9 and 170 pounds, Kwong was an unlikely threat on the football field, but his talent soon became apparent when he helped the Calgary Stampeders win the Grey Cup in his first season (1948). Kwong was traded to the Edmonton Eskimos three years later. Together with teammate Johnny Bright, Kwong gave the Edmonton Eskimosa potent running attack and soon rose to the top of his sport. When Kwong retired from his 12-year career in 1960, he had won four Grey Cups — one in 1948 with the Calgary Stampeders and three (1954–56) with the Edmonton Eskimos. He was named All Canadian Fullback five times and was awarded two Schenley trophies (1955 and 1956) as the CFL's most outstanding player. Overall, the once-unlikely football star set 30 league records during that time and has since been inducted into both the Canadian Football Hall of Fame and Canada's Sports Hall of Fame. Kwong remained active in both sporting and community activities after his retirement and has since become a strong advocate for both multiculturalism and health and wellness in the province of Alberta. He was named the National Chairman of the Canadian Council on Multiculturalism (1979 to 1980) and served as Chairman for the Calgary Easter Seals Campaign. He returned to football in 1988 to revitalize the financially troubled Calgary Stampeders franchise. As president and general manager, he brought the team back to respectability and a Grey Cup appearance in 1991 before resigning in 1992. He was a member of the ownership group of the Calgary Flames hockey team from 1980 to 1994, helping them to their first Stanley Cup victory in 1989. 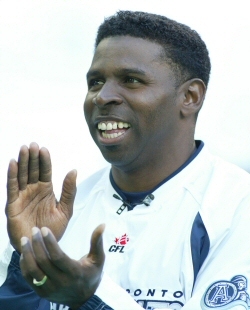 He received the Order of Canada in 1998 in recognition of his groundbreaking career in the CFL. On 20 January 2005, Kwong succeeded Lois Hole as Alberta's 16th lieutenant-governor, becoming the first Chinese Canadian to hold the position in Alberta. In 2005, the Queen appointed him Knight of the Order of St John of Jerusalem, the University of Calgary endowed the "Normie Kwong Bursary" in his honour, and the Canadian Embassy in Beijing named their gymnasium in his honour. 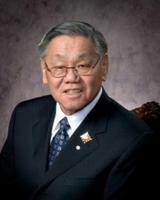 The University of Alberta awarded Kwong an Honorary Doctor of Laws degree in 2006. Kwong's term ended in 2010, and on 10 May he was succeeded by Donald Ethell. Norman "Normie" KwongProfile of football star (and former lieutenant-governor of Alberta) Norman "Normie" Kwong. From the Canadian Football Hall of Fame and Museum. Norman KwongBiography of acclaimed Canadian running back Norman Kwong from Canada's Sports Hall of Fame. Norman L. KwongA biography of Norman L. Kwong, Alberta’s 16th lieutenant-governor and professional football player from the Alberta Order of Excellence website.